On the eve of Indonesia's presidential and parliamentary elections, Donald Greenlees charts the course of man-of-the-people President Joko Widodo's first term in office, and assesses the chances of his biggest competitor. The full benefits of the Australia China Free Trade Agreement (ChAFTA) took affect at the start of this year. In this address to the Henan Investment and Trade Fair, Asialink Chairman The Hon Andrew Robb AO maps out the opportunities now up for grabs. What are the regional implications of Brunei's recently approved Islamic criminal laws, known as hudud? Donald Greenlees counts the costs of this divisive new direction from the small ASEAN member state. While the Prime Minister will remain unchanged, Sunday’s election in Thailand has thrown up some surprise results, writes James Wise, who served as Australia’s Ambassador to Thailand from 2010 to 2014. It will be increasingly necessary to develop strategies to deal with concerns over the way China seeks to influence debate in the West, without stereotyping an entire community to the detriment of our own interests, writes Donald Greenlees. Professor the Hon Gareth Evans AC QC has called for Australia to address the underrepresentation of Asian-Australians in senior leadership positions, in a wide-ranging Sir Edward 'Weary' Dunlop Asia Lecture in Sydney. Each year Asialink awards a Sir Edward 'Weary' Dunlop Asia Medal to an Australian who has strengthened Australia's engagement with Asia. The 2018 Medal has been awarded to diplomat, public servant and educator Mr Peter Varghese AO. As technology increasingly shapes our world, education needs to incorporate global competence with a focus on human interactions and intercultural understanding. Asialink Arts announces a suite of creative engagements throughout Asia for 2019. Just over 20 years ago, a letter from Australian prime minister John Howard to the president of Indonesia, B.J. Habibie, set in motion a chain of events that would lead to East Timor’s passage to nationhood, writes Asialink Senior Advisor Don Greenlees. This address by former Australian foreign minister The Hon Gareth Evans was presented to the 2019 Asialink Leaders Program, encompassing foreign policy in a 'post truth' era, China, North Korea, the United States and more. With its unparalleled dependence on Asian trade and deep security entanglement in the Asian region, Australia is on the front line of the transformations preoccupying the global community in the coming decades. In the last event in our popular This Is Not a Drill series, we gazed into our crystal balls and puzzled through a hypothetical population explosion in Australia, 15 years in the future. Asialink Group CEO Penny Burtt has announced the appointment of Dr. Pippa Dickson as the new Director of Asialink Arts. At the third event in the This Is Not a Drill series, our expert panellists confront a hypothetical public health emergency. Join Ali Moore’s crack team as they devise a plan to protect the population and stem panic in the face of a pandemic. This short guide for Australian business takes a snapshot of our critical regional neighbour ahead of the approaching general election. We travelled to six countries to meet six remarkable women. Now available to view online, this series first broadcast across the region on ABC Australia. Asialink's International Director Professor Tony Milner considers a 'Plan B' for regional policy in the context of an increasingly unreliable and bizarre U.S. administration. Penny Burtt has been appointed the new Group CEO of Asialink, replacing co-founder Jenny McGregor AM who has held the position since 1990. While Australia wrestles with committing to recommendations in the Gonski 2.0 report on education, China is embracing student-driven learning, improving rural education and bridging the tech-divide writes Asia Education Foundation Executive Director, Mr Hamish Curry. Events in Malaysia over the past week amount to far more than a change of government, writes Asialink International Director Anthony Milner. The South China Sea has become one of the region’s biggest potential flashpoints – but, hypothetically, what could happen if Australia were dragged into a conflict between rival powers? The new Gonski 2.0 report identifies the priority for Australian schools to equip every child to be a creative, connected and engaged learner in a fast changing world. Asia Education Foundation Director, Kathe Kirby, reports on what this looks like in schools. As part of the historic ASEAN-Australia Special Summit, the Asia Education Foundation hosted the ASEAN-Australia Youth Forum supported by the Australia-ASEAN Council at the Department of Foreign Affairs and Trade. As announced by the Foreign Minister, The Hon Julie Bishop MP, and Senator Concetta Fierravanti-Wells MP, in 2018 the Asia Education Foundation BRIDGE School Partnership Program will expand to into the Pacific. Asialink was proud to co-convene the ASEAN-Australia Dialogue: Partnering for Security & Prosperity in Uncertain Times, in close collaboration with 10 other institutions around Australia, including PwC, the Department of Foreign Affairs and Trade and the Australia-ASEAN Council. On Tuesday 13 March 2018, His Royal Highness Sultan Nazrin Muizzuddin Shah, the Sultan of Perak, Malaysia delivered the keynote address at the ASEAN-Australia Dialogue 2018. New AEF Executive Director, Hamish Curry, shares his insights on the importance of preparing young Australians to be ready for the world. Asialink is proud to announce the 15 social entrepreneurs selected from across South-East Asia and Australia. Read the 2018 Asialink Chairman’s Welcome dinner keynote address by John Wylie AM. Chair, Australian Sports Commission. Asialink Arts through its Global Project Space (GPS) initiative announces a suite of phenomenal creative exchange projects for 2018. Asialink Business has been selected as a market-leading service provider and partner of choice for Victorian businesses to develop their Asian market know-how, networks and skills. As the 2018 Australia ASEAN Special Summit approaches, Asialink’s Group CEO Jenny McGregor and International Director Professor Anthony Milner write about the importance of listening to our ASEAN neighbours. Instigating collaborative and flexible partnerships that delivered international, public and professional outcomes for the Australian cultural sector, Asialink Arts, Global Project Space, was central to Australia-Asia creative engagement in 2017. The ASEAN-Australia-New Zealand Dialogue annual Track II initiative led by Asialink, the Institute of Strategic and International Studies Malaysia (ISIS-Malaysia) and the Asia New Zealand Foundation celebrated 10 years in 2017. Is Australia out of kilter with our region? How aware are we of the genuine transformation taking place? The questions may not have mattered so much in the heyday of our United States Alliance – but today, though we may not always agree with our neighbours, it is increasingly dangerous to be left out of the regional conversation. How can Australia navigate international uncertainty to ensure its foreign policy works to secure the country’s prosperity? Asialink Business CEO Mukund Narayanamurti spoke to the AIIA National Conference on 16 October 2017. India is a fast changing country and a rising global power. Yet while its overall prospects look bright, questions remain as to whether the country’s vast economic potential will be realised to full potential. With 12-years experience working in the education sector across Australia and China, AEF Go Global Ambassador, Alexis Wagner, explores how teachers and schools can collaborate across international borders to provide students with authentic cross cultural learning experiences. Asialink Diplomacy contributes to high-level conference on academic diplomacy in Asia. Asia Australia Mental Health has partnered with The Prof. Soerojo Hospital to assist in building a comprehensive responsive mental health service for the Magelang community in Indonesia. Asialink Arts were recently awarded the ‘State Arts and Culture Partnership Honours’ for their successful partnerships with Fremantle Arts Centre and Taipei Artist Village. 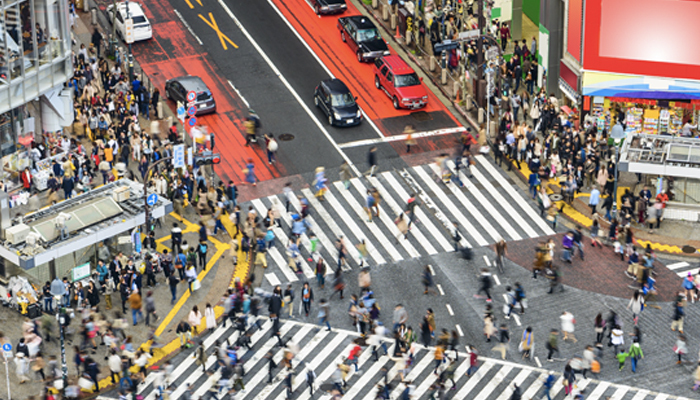 By 2030, two-thirds of the world’s middle class will live in Asia and Australian business leaders have a lot of work to do to become Asia-capable in the 21st century. Asialink Board member, John Denton and Professor Peter Drysdale, write that Australia must reject old Cold War thinking and dichotomies and work towards building a trust based relationship with China. Asialink Business CEO Mukund Narayanamurti featured on this month’s Talking Business with Alan Kohler podcast, discussing the key findings from the Match Fit: Shaping Asia capable leaders report. Asia Education Foundation, Australia-Indonesia BRIDGE School Partnerships Program participant, Ms Claire Roberson, shares the learnings from her recent trip to Indonesia as part of the 2017 BRIDGE Study Program. Innovations in Australia and Singapore are getting more women on corporate boards across the Asia Pacific, but more work needs to be done to close the gap between senior executive roles and directorships. Asialink’s International Director, Professor Anthony Milner, was a recipient of a 2017 Merdeka Awards in the category of Outstanding Contribution to the People of Malaysia. Co-Director of Asia Australia Mental Health, Julia Fraser, hosted three colleagues from the Jindal Institute of Behavioural Sciences (JIBS) of O.P Jindal Global University India to explore ways that the two Universities can work together to help close the ever increasing mental health treatment gap in India. Asialink Diplomacy partnered with the Australian Embassy in the Philippines to launch the Women in Leadership video series. Asialink Arts in partnership with Sydney-based based Varuna National Writers’ House, WestWords, and Indonesia’s Komunitas Salihara and Ubud Writers & Readers Festival is proud to announce a new initiative - Tulis. 2017 Asialink Leaders Program participant, Tim Watts MP, told Parliament that Asia capability must become a priority in Australia. What does Australia’s next foreign policy have to do with schools? Asia Education Foundation Executive Director, Kathe Kirby explores what Australia’s next Foreign Policy has to do with Australian schools. Asialink Diplomacy worked with the Department of Foreign Affairs and Trade to manage a dialogue between senior political and business leaders to discuss women’s representation on corporate boards in Singapore and Australia. Match Fit: Shaping Asia capable leaders features ground-breaking research on the level of Asia capability among board members and senior executives from Australia's ASX 200 companies and top private organisations undertaken by Asialink Business with support from PwC and the Institute of Managers and Leaders. AAMH renewed tripartite Memorandum of Understanding (MOU) between Peking University Institute of Mental Health, The Chinese University of Hong Kong and the University of Melbourne signalling an ongoing commitment to a long term collaboration in mental health between the three highly ranked universities. In 2017/18, Asialink Arts will present a two part exchange between the Awaji Art Circus Festival in Japan, and Next Wave Festival, Melbourne. Participants often describe the Asialink Leaders Program as a transformational experience providing the knowledge, skills and networks vital for success with Asia. To learn more about the Asialink Leaders Program, join us at one of the forthcoming information sessions. Asia Education Foundation International Director, Aaron O'Shannessy, explores the key benefits of having international students part of Australian classrooms. 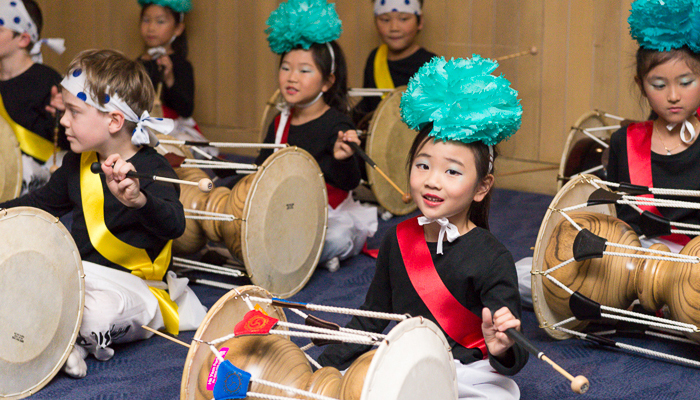 Asialink Arts Director Lesley Alway reflects on the next chapter for the organisation. Asialink Business CEO Mukund Narayanamurti spoke to the Australian Financial Review about the growing opportunities for Australian exporters in Indonesia. Asialink Diplomacy is driving research around the transformation of Asia’s entrepreneurial landscape. AEF Executive Director, Tim Mayfield recently spoke to the Australian about the gradual decline of Year 12 students studying a foreign language. Former Prime Minister of Australia the Hon John Howard OM AC gave a keynote address at the 2017 Asialink and Asialink Business Chairman’s Dinner in Melbourne. AEF Executive Director, Tim Mayfield, spoke to SBS World News to discuss the need for a "greater emphasis to be placed on bilingualism for secondary school students". This year's Asialink Leaders Program participants had the opportunity to learn from senior members of governement, diplomacy and academia from Australia and the region. Asialink Diplomacy delivers a thought-provoking presentation on digital trends transforming power in Asia. Asia Australia Mental Health is working with Professor Jia, the Director of the Guangdong Mental Health Institute to provide specialist training to 70 community mental health doctors from across the Guangdong province. Asialink Arts Japanese glass resident Ayano Yoshizumi will present a demonstration and exhibition at Canberra Glassworks this June and July. Asialink Business CEO Mukund Narayanamurti in the Pursuit on South Korea's new president and what that means for Australian business. International Manager, Bonnie Hermawan speaks to the development of intercultural understanding through the use of direct ‘real world’ experiences for teachers and students. Asia-Australia Mental Health is taking the world one step closer to pinpointing an underlying cause of schizophrenia. Much is being said about China’s ‘new Silk Road’ – the Belt and Road Initiative – but is Australia listening? Asialink is addressing this problem by gathering regional perspectives on this ‘grand design’. As part of the Asia Education Foundation, 2017 Australia-India BRIDGE School Partnerships Program participants Ms Seckold and Ms Verma were recently interviewed by NBN News to speak about the development of their international school partnership. Asialink partners gathered in Singapore to discuss the opportunities and challenges for women in leadership, and launch a pioneering interview series. Established ceramicist Prue Venables travelled to Jingdezhen, China, to research high risk pottery techniques, and create a new body of work. Asialink Business Director of Research and Information, Megan Mulia, contributed to the latest report by the Committee for Economic Development of Australia. She analyses the risks involved in doing business with Asia and how to mitigate these risks. Asialink Diplomacy hosts the Australia-Indonesia Leaders Program for a “policy hackathon” with focus on developing new ideas for bilateral collaboration in urban governance and city planning. To mark World Health Day 2017 Asia-Australia Mental Health (AAMH) partnered with Jindal Global University to present a public seminar at the Indian Habitat Centre New Delhi. Asialink Business CEO, Mukund Narayanamurti wrote in the Australian on the future of the Australia-India bilateral relationship. AEF Executive Director, Tim Mayfield, brings to light the importance for us to encourage Australian students to learn a second language in the primary and senior secondary years to remain competitive on the global employment stage. 2017 Australia-ASEAN Emerging Leaders graduates meet high-level diplomats. Asialink Business CEO Mukund Narayanamurti appeared on Sky News to discuss the recent election of Carrie Lam as Hong Kong's 4th Chief Executive, and the first female to be elected to the position. Asialink partnered with PwC to host cross-sector Foreign Policy White Paper Consultations for the Department of Foreign Affairs and Trade (DFAT). Australia-ASEAN Emerging Leaders commemorate International Women’s Day. AEF International Director, Aaron O'Shannessy, explores how digital technology provides vital tools for the 21st-century learning classrooms of today and the ways in which we can bridge distances and increase students opportunities to learn from their peers through collaboration at a local, regional and global level, discover different countries and cultures, and learn new languages. Agatha Gothe-Snape will present a month long performance program to accompany her solo exhibition at the Mori Art Museum, Toyko. Shenzhen Kangning Hospital visited Melbourne to explore the ways mental health care is delivered to people with mental illness in Victoria, with a special focus on Homeless services. Asialink Arts is delighted to announce its successful 2017 Arts Residents and their hosts. Asia Education Foundation, Go Global Project Officer, Emeline Gillingham, explores the importance of empowering Australian students to address the global issues that will shape our future. New Director of Asialink Diplomacy, Erin Watson-Lynn, is building a ‘Diplomacy Lab’ for Track II activity. It is with great pleasure that we announce the appointment of the Hon Andrew Robb AO to the position of Chairman of Asialink and Asialink Business. Writing resident Natalie Sprite shares a short story about a rainy afternoon in Bali. Read her piece by clicking on image at the foot of the article. 30 November 2016: Telstra CEO Andrew Penn delivered the Sir Edward 'Weary' Dunlop Lecture at the 2016 Asialink Chairman's Dinner in Sydney, discussing how technology and innovation are building bridges in the new Asia. Asia Education Foundation, Executive Director, Kathe Kirby explores the current trends of Indonesian language studies in schools across Australia. Asialink Arts resident Tim Cole reflects on the extraordinary migration and cultural diaspora that began 5000 years ago in Taiwan. Note: Applications will be reviewed on a rolling basis. If the program is over-subscribed prior to the closing date, applicants will be shortlisted. Asia Australia Mental Health is assisting to improve the quality of life for children diagnosed with Autism spectrum disorder (ASD) across China. A tribute to the late Professor Lee Poh Ping by Professor Anthony Milner, International Director, Asialink. Jorng Jam is a contemporary art and history project which remembers, reclaims and reinterprets Cambodian social history from before, during and after the Khmer Rouge era. Asialink Business has provided support to a 200-strong business delegation that departed from regional Queensland to Shanghai this month. Asia Education Foundation, Go Global Project Officer, Emeline Gillingham explores why our students’ future success is dependent on how well our education system develops their global competence. Are schools focused enough on the future? AEF Director Kathe Kirby explores the findings of a recent report on Australia's engagement with Asia which details how young Australians aren’t being prepared to do business with Asia. On the occasion of Beijing Design Week 2016 and China’s Golden Week, and to coincide with the Year of The Monkey, acclaimed Australian visual artist Lisa Roet presents 'Golden Monkey'. Experimental Korean artist Joon Kim spent 10 weeks at Artspace, Sydney on an Asialink residency, before spending two weeks in the Blue Mountains.Building on his interest in collecting sound samples and mapping electromagnetic waves, the artist also spent time investigating Australia’s unique flora and fauna. Influenced by colonial botanists and their drawings at the Museum of Sydney, Joon collected sculptural examples of indigenous and introduced species, including leaves, seed pods, and berries which he then installed in his studio.The artist also conducted research and development for his two core interests: collecting sound samples and mapping electromagnetic waves. Walking the streets of Sydney, Joon recorded audio samples from the city- from the blip of pedestrian crossings, to the sound of the Fish Markets and cockatoos (listen here). This will form part of a broader project, which maps sound samples from across the world.Using tiny amplifiers sourced during a trip to China, Joon also transformed digitally encrypted wavelengths into audible sound, in an attempt to draw awareness to the completely invisible (and unknown) infrastructure that surrounds us in the urban environment.Jessica O’Brien: What prompted you to apply for a residency in Australia? Joon Kim: I had never visited Australia, but had so much interest. My creative practice is concerned with ecology and urban space- I thought visiting Australia was a very good chance to build on my sound project and conduct research-based work in nature.What were some of the benefits or challenges of being an artist in an environment you're not familiar with?Unfamiliar places give me new inspiration- in Australia I got new experiences every day! This was especially good for my sound project- although I still think there is much more that I can learn. Has the residency had any impact on your practice already? Yes, I produced many experimental artworks during the residency.What do you think the long term outcomes from the residency will be? I will have an exhibition based on my residency called "research, re: researched" in Korea. I will also have an exhibition and Open Studio at MMCA Goyang-Residency. Joon’s residency was part of an annual two way Asialink exchange between NSW and Korea. During his residency in Australia, Sydney based artist Marilyn Schneider was based in Joon’s studio at MMCA Residency Goyang, located on the outskirts of Seoul, Korea.The two artists came together in regional NSW in the Blue Mountain’s at BigCi for two weeks at the end of their residencies, to share their experiences in a unique regional location, and to share their artwork with the BigCi community.Visual artists based in NSW are encouraged to apply for the next iteration of the NSW-KOREA exchange, which will take place from June next year. Applications for all Asialink Arts residencies are now open. To find out how to apply please visit our website. Asialink Arts opened the 2017 residency round on 29 August with new hosts and models, offering greater diversity to Australian arts professionals looking to gain international professional development opportunities in Asia.Three new host partners are on offer for lucky recipients to China, Hong Kong and Korea:THE BEIJING CENTRE FOR CHINESE STUDIESHosted by the University of International Business and Economics, The Beijing Center enables students and Asialink artists in residents to experience China at its political and cultural Center. The Center accepts applications from arts managers and writers and offers course studies, language programs and academic excursions to Western China. Asialink residents have access to an extensive adjunct teaching faculty, academic networks and a large English language library on Chinese Studies. To find out more please view our Chinese host partners. HONG KONG ARTS CENTREThe Hong Kong Arts Centre is a multi-functional creative hub of galleries, theatres and a cinema. As well as hosting one of the largest arts education institutes in Hong Kong, The Arts Centre provides administration space for cultural organizations, a variety of venues and facilities for performances and exhibitions. The Centre facilitates the development and growth of the cultural and creative industries in Hong Kong.To find out more please view our Hong Kong host partners.INCHEON ART PLATFORM, KOREAIncheon Art Platform is a multicultural art forum that supports the creative work of artists and researchers through its residency program. The Platform supports artists, exhibitions and performances, and offers educational programs to the public every weekend. Each year Incheon Art Platform hosts nine international residents, who conduct residencies alongside Korean artists to stimulate intercultural exchange and communication.As well as these new hosts, Asialink maintains close relationships with over 54 Host Partners across Asia through our 2017 arts residency program. The organisations are diverse – ranging from universities, private residency organisations and publishing houses to museums and theatres.KOMUNITAS SALIHARA, JAKARTASince 2014 Asialink has partnered with Komunitas Salihara in Jakarta. It is the first privately-owned multidisciplinary arts and cultural centre in Indonesia. The stunning complex features a black box theatre, art gallery, lounge, open-air theatre, dance and music studios, art store and café. Asialink residents are given the opportunity to engage with 'Festival Salihara', a biannual arts event showcasing dance, theatre, music and visual arts by Indonesian and international artists. To find out more please view our Indonesian host partners. ‘PASANG AIR’ AT CEMETI ART HOUSE, YOGYAKARTAAnother long-standing partner of Asialink Arts is Cemeti Art House in Yogyakarta, Indonesia. This year through Asialink’s Arts Residency Laboratory, Cemeti Art House invites visual artists from three different countries to spend three months in Yogyakarta. Artists are given the opportunity to concentrate on artistic research and experimentation, and the opportunity to exhibit their outcomes on site.INTENSIVE RESIDENCY AT 3331 ARTS CHIYODA, TOKYOFor those who are short on time, Asialink offers a special one-month Intensive Residency focused on networking and research to kick-start someone’s time in Japan. Host Partner 3331 Arts Chiyoda is a re-purposed elementary school turned creative hub that houses an exhibition/performance space and creative tenants ranging from publishing houses to roboticists. Applications are open to visual artists and arts managers.For detailed information about the hosts profile above, Asialink’s Arts Residency Program and to APPLY NOW click here.Applications for 2017 CLOSE on 30 September 2016. Can you assess global competence? New Asialink Arts craft exchange between Australia and Japan concludes with an exhibition by Japanese glass artist Takeyoshi Mitsui at Canberra Glassworks. Asialink Business welcomes the Australia-China Joint Economic Report, a landmark study that brings together academics and industry leaders from both countries for the first time. Asialink Business is excited to announce the launch of three flagship online courses, allowing Australian businesses and professionals to get Asia-ready online, anywhere, anytime. Sydney companies looking to explore business opportunities in Asia will soon have access to free expert insights, practical information, business networks and specialist support, following new collaboration between the City of Sydney and Asialink Business. Growing Knowledge Economies report reveals opportunities for Australian business to capitalise on surging demand for professional services in the region. Asialink Business is pleased to announce a new partnership with Sydney Airport, recognising the important role that the airport plays as Australia’s busiest gateway to Asia. An interview with Tan Sri Dato’ Ajit Singh, Malaysian Diplomat and first Secretary-General of ASEAN. (19 April, 2016) The Premier of Victoria, The Hon. Daniel Andrews MP, launched Victoria’s New China Strategy:Partnerships for Prosperity at an Asialink Business event in Melbourne today. The strategy aims to strengthen economic and cultural ties with China, helping create more business opportunities and more jobs for Victorians. Australia Week in China (AWIC) was the largest business mission ever organised by Austrade, consisting of almost 1000 delegates from around 750 companies. One of the key organisers of AWIC was Prerana Mehta (2014 Alumni, Asialink Leaders Program). The Minister for Foreign Affairs, the Hon Julie Bishop MP, encouraged Australia’s next generation of leaders to develop the cultural awareness and cross-cultural skills needed to form lasting partnerships in the Indo-Pacific, at the launch of a new training initiative in Melbourne on 8 April.The cross-cultural training, purpose-designed by Asialink Business for New Colombo Plan (NCP) mobility students, will help equip students with the capabilities needed to engage effectively across cultures and gain maximum benefit from their study, work and life experiences in the Indo-Pacific region.The result of a public-private partnership between the Australian Government, the Bennelong Foundation, the Myer Foundation and Asialink Business, as many as 7000 Australian students will participate in the training. It will be rolled-out on a national scale from 2016-2019, following a highly successful pilot in Victoria, Queensland and New South Wales in 2015.The Chairman of the Bennelong Foundation, Jeff Chapman, said that the Foundation fully supported, and was delighted to be involved with, the Federal Government’s initiative in launching the New Colombo Plan.“The NCP Pre-Departure Cross Cultural Training Programme is a natural fit with our focus on education and regional development and integration, and we welcome the opportunity to collaborate on the project with DFAT, the Myer Foundation and Asialink Business” he said.Asialink Business Chairman, Sid Myer AM, said: “Australia’s economy and community are increasingly interconnected with the Indo-Pacific, and it is critical that Australians of all ages develop the cultural insights, skills and awareness needed to form long-lasting, trusted cross-cultural relationships throughout the region. "Developing these Asia capabilities is as important for engaging in the region as it is for doing business in an Australia which is becoming increasingly interconnected with Asia,” he said. Asialink Business CEO, Mukund Narayanamurti, said: “As Australia’s National Centre for Asia Capability, Asialink Business is delighted to support the Australian Government’s flagship New Colombo Program and to partner with The Bennelong and Myer Foundations on this important training initiative.“It is highly encouraging to see the extent to which business and the private sector is getting behind the NCP. The cross-cultural training will help deliver lasting benefits for the participants as they enter the workforce and embark on varied professional journeys,” Narayanamurti said. The concept and principal funding for the training originates from the Bennelong Foundation, with additional funding support from The Myer Foundation and Asialink Business. Asialink Business is overseeing the design, development and delivery of the program.The national roll-out of the training will also include innovative and highly interactive online modules, which can be accessed by participants at their convenience to accommodate busy study and work schedules.For more information visit Asialink Business. 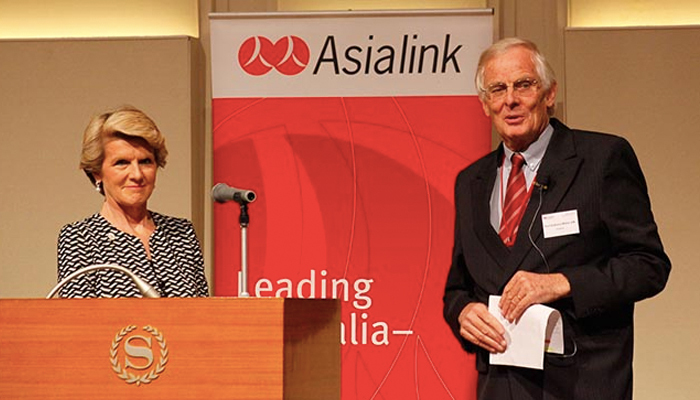 The Sir Edward Weary Dunlop Asialink Fellowships are awarded to two individuals from the not for profit sector to participate on the Asialink Leaders Program. Lieutenant Colonel Sir Ernest Edward "Weary" Dunlop, AC, CMG, OBE (12 July 1907 – 2 July 1993) was an Australian surgeon who was renowned for his leadership in Australia Asia relations. In 1993, a Dunlop Trust was established as a perpetual fund or trust with its activities occurring on an on-going basis as a perpetual memorial to Sir Edward Dunlop's vision for fostering meaningful and constructive relationships between Australia and the countries of Asia. Asialink Business CEO Mukund Narayanamurti launched the Japan Country Starter Pack at a business forum that featured guest speakers including Japan's expert in Abenomics, Professor Motoshige Itoh. Andrew Cornell from ANZ Blue Notes interviewed the Professor on the opportunities for Australia in Japan's shifting economy. Asialink Arts is delighted to announce its successful 2016 Arts Residents. The Security Landscape in East Asia: A Justifiable Anxiety? There is little doubt that 2015 has been a momentous year for Australian businesses looking to tap new opportunities with Asia. Is there room for diversity inclusion in the gender debate? Asialink provides a forum for public debate and exchange on issues relating to Australia's place in the region. This calendar features upcoming Asialink events and private briefings along with a range of partner network events that build Asia literacy and networks throughout Australia.